One of the most disappointing things that can happen to a film series is when commercial pressures begin to dictate the creative shape of sequels. 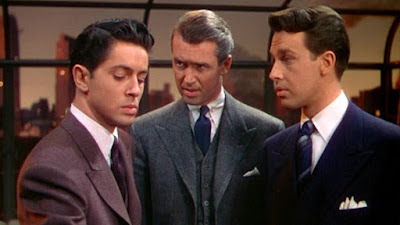 While many film series begin life as cash cows (including many modern comic book adaptations), most series start to lose whatever edge they originally had as they become more successful. The second something becomes a commercial hit, any follow-up tends to play it safe to protect the brand and the dozens of people who are working on it. 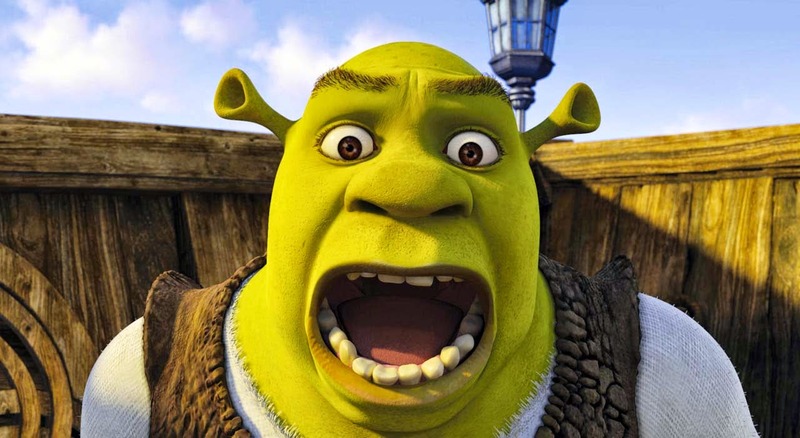 When Shrek was released, it was a big gamble for a studio that was still finding its feet in a marketplace that was still in its infancy. 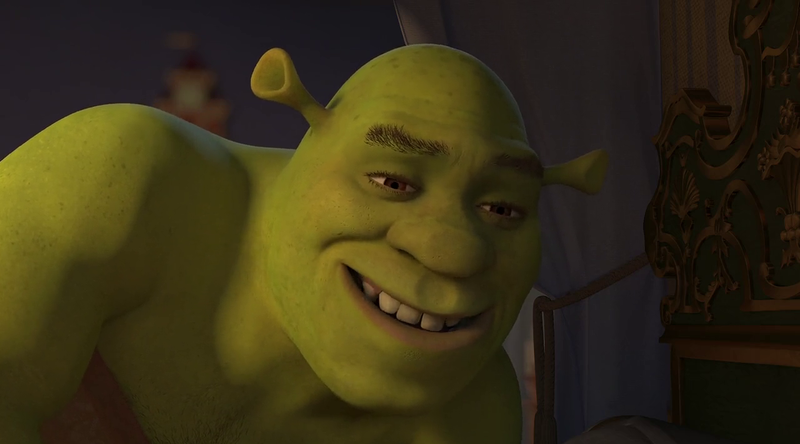 Shrek 2 built on the phenomenal success of the first film while generally retaining its spirit. But after that film became Dreamworks' biggest hit (which it remains to this day), Jeffrey Katzenberg and his cohorts sought to eke out the series, providing more money at the expense of allowing genuine creativity to flourish. Through a combination of playing it safe and being short of ideas, Shrek the Third is desperately mediocre. Defenders of Shrek the Third (yes, they do exist) would argue its worth in one of two ways. The first and less substantial angle is that it's not as bad as it could have been, given the general quality of threequels and animated sequels in general. 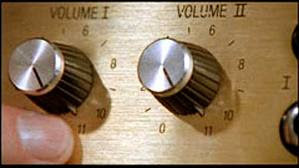 But while it's true that this is not as much of a mess as, for instance, Evil Dead 3: Army of Darkness, it misunderstands and waters down its central character every bit as much as, say, Superman III. In the hands of Raman Hui and Chris Miller, the title character is reduced from his substantial beginnings to a hollow and wearisome pastiche. 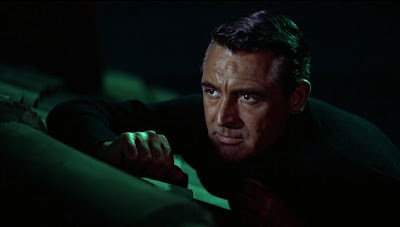 The second school of apologists will argue that the film's ideas are very much in keeping with the first two instalments. 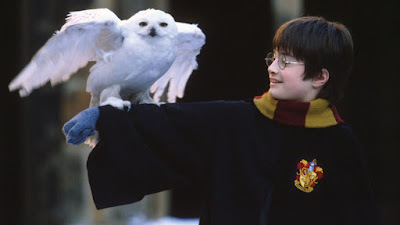 The plot is still based on a subversion of fairy tale tropes, in this case with the bad guys defying narrative convention and wanting their 'happily ever after'. 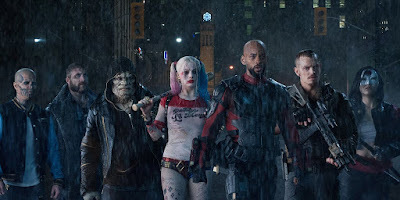 And the execution of these ideas, at least at first glance, appears tp be very similar, with plenty of action scenes set to popular music and our villain having a misplaced sense of ambition and moral outrage. There is some truth in this, and it is possible that these ideas could have been executed in a better-written, more fulfilling way. But neither Hui nor Miller are able to carry through the ideas to their spirited, natural conclusions, either because they were constrained by decrees from on high or because they lacked the talent in themselves. Neither has gone on to demonstrate any real potential outside of this series, with Miller participating in the seemingly endless Madagascar franchise and Hui doing little outside of short films based off already successful features. 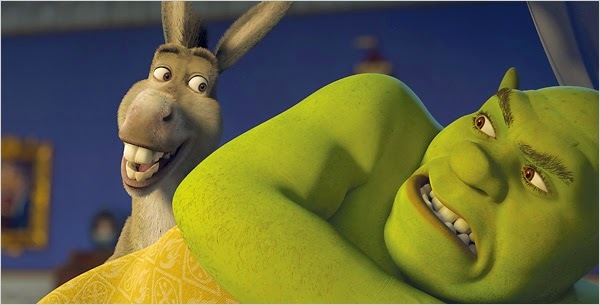 If there is a single word that can sum up Shrek the Third, it is weak. The script is particularly weak, being more concerned with moving from one joke to the next via predictable plot points than it is about developing the characters and moving our fantasy world on a little bit. 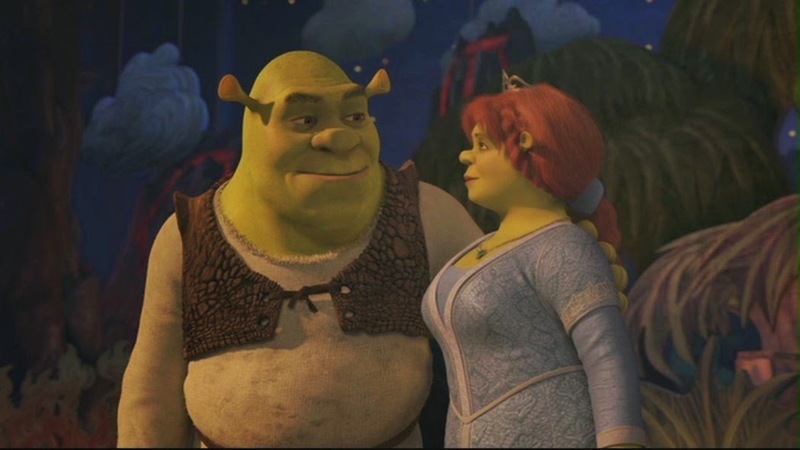 It's easy to forget, as I stated in my review, how well-written the first Shrek was, both as a deconstruction of Disney tropes and a genuinely insightful love story. 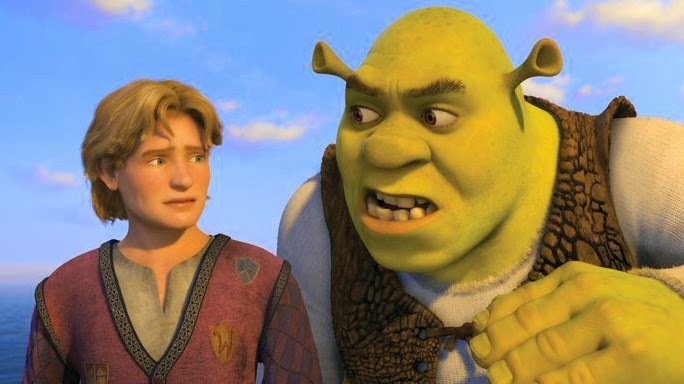 Shrek the Third, by contrast, goes for the obvious and predictable route in all its developments, and often feels like it has forgotten what it is and where it came from in the first place. 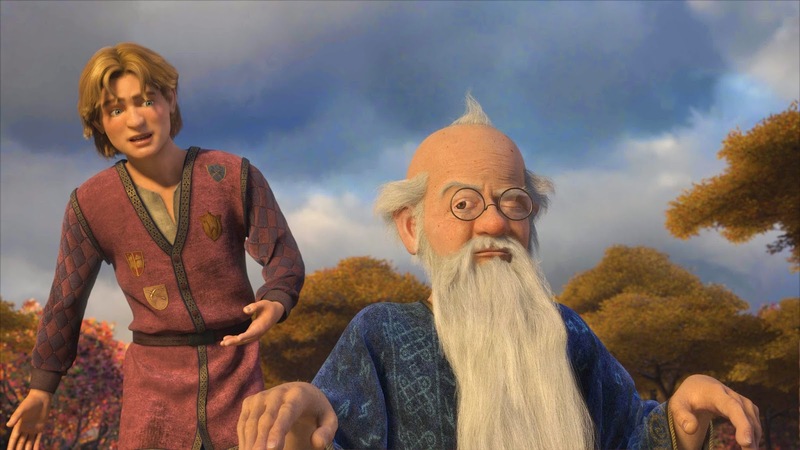 Many of the narrative touches in Shrek the Third have been done better elsewhere. The Sword in the Stone painted Arthur as a reluctant weed more than forty years earlier, and for all the baggage that Wolfgang Reitherman brings with him, it is a much better film. The Princess Bride toyed with the idea of the prince being a completely pompous slimeball, and while Rob Reiner's film has issues, Prince Humperdinck has more of a motivation than Prince Charming. Not only is the plot less original than the first two films, but it feels far more inconsequential and innoucuous - it feels, in other words, like an awful lot of padding. 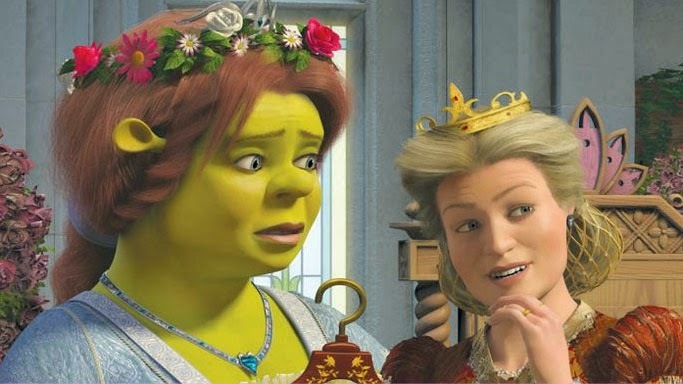 While there are moments of humour, the film doesn't take the characters forward from where we left them in Shrek 2, feeling more like the next instalment of an episodic TV series than a genuinely worthwhile sequel. 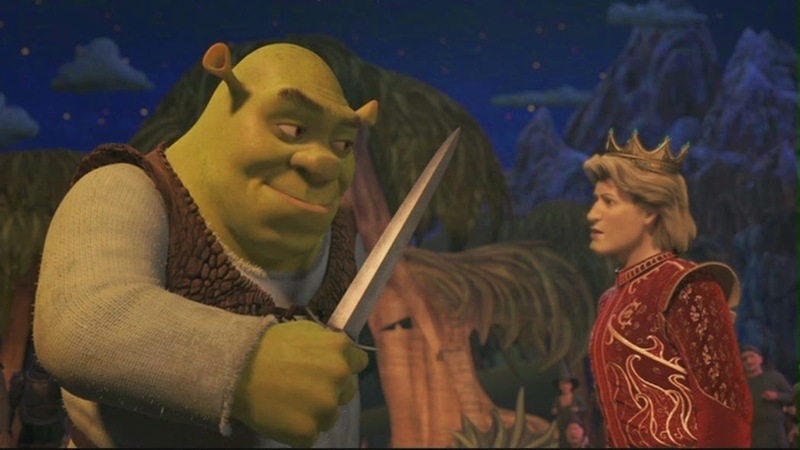 Most of the plot points are distractions to get Shrek out of the picture, because if he was in the same place as Prince Charming for too long, it would all fall apart. 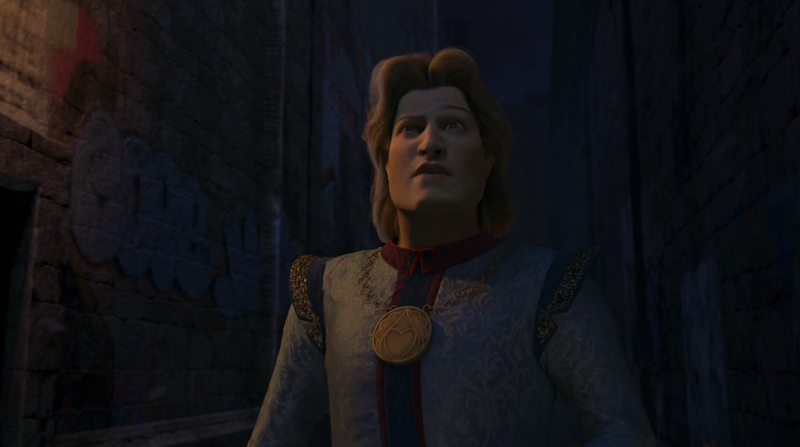 This brings us on to Charming himself.. As enjoyable a presence as he was in Shrek 2, the fact is that he can't hold his own as a villain. While his motivation is perfectly okay, his modus operandi is altogether flimsy and pathetic. 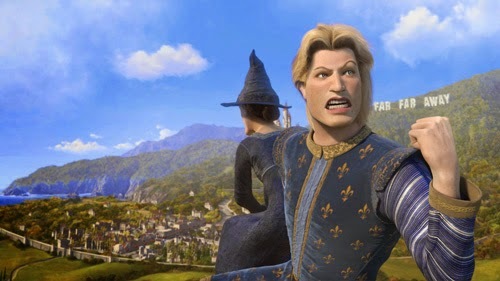 Farquaad and the Fairy Godmother were compelling villains because they had threatening goals, namely driving out fairy tale creatures and gaining control of a kingdom. 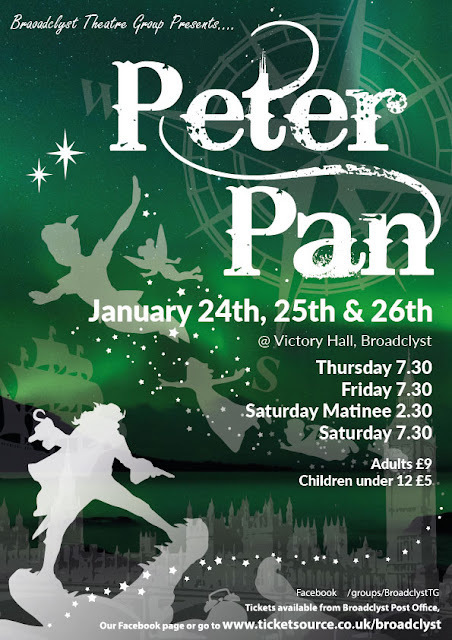 Charming's plan, to cathartically kill Shrek as part of an overly elaborate stage show, is devoid of ambition or common sense, and its execution is laboured to the point of being tedious. The cast of Shrek the Third sound laboured too, with most of the main performers doing just enough to hold our attention. 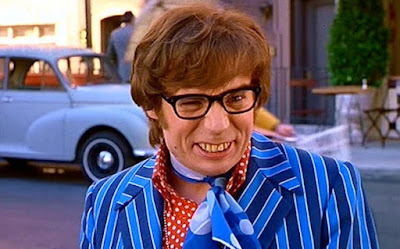 Mike Myers seems less at ease with the character; he plays the part like he's doing an impression of his earlier performances, and there's less of a spring in his step. 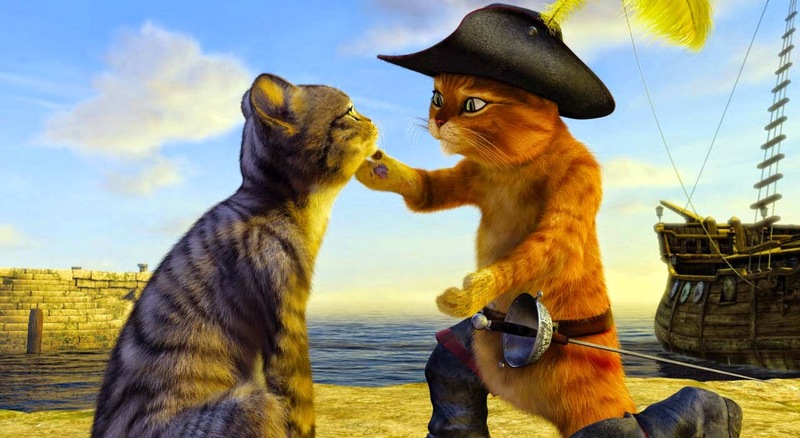 Eddie Murphy and Cameron Diaz are both passable but unmemorable, and even Antonio Banderas is reduced as Puss in Boots. The supporting cast are equally disappointing. Justin Timberlake would later prove his worth in The Social Network, but his casting here seems entirely motivated by brand name recognition; he's in the film because he's a hearthrob that will bring in teenagers, not because he can act. Likewise Eric Idle makes the very least of his role as Merlin, which is surprising given his previous dabblings in Grail lore, but entirely unsurprising given his status as a complete sell-out. 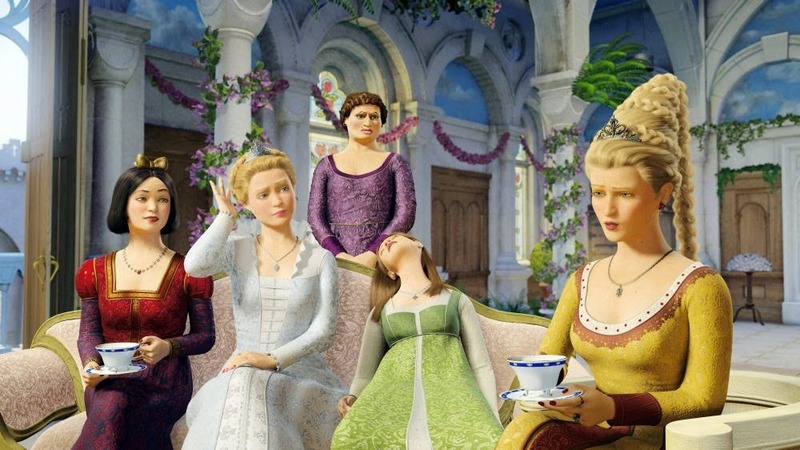 The comedy in Shrek the Third is much more laboured than before. 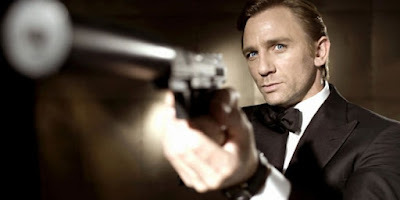 It's not just that the writing is weaker, it's that the franchise is trying too hard to be cool when its strength always lay in being edgy - the cool factor came as a result of being willing to take a risk. Hearing Shrek trying to talk street to Artie is downright painful, and even Pinocchio's verbal acrobatics, which should be funny, takes an age to unfold. In spite of all these massive problems, there are brief passages in which Shrek the Third hits its mark and remembers how good it can be. 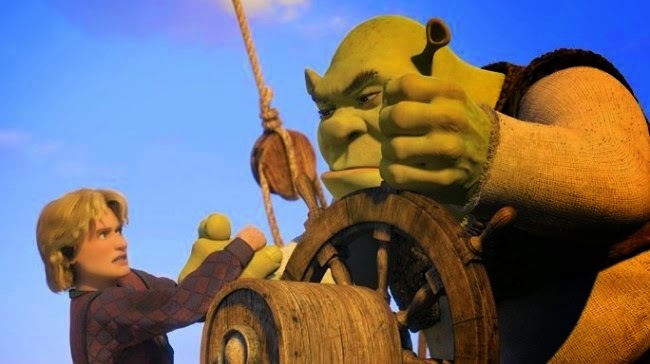 The sight gags at the start are funny, whether it's Shrek sinking the ship he's meant to be launching or causing a chain reaction which leads to a massive fire. There are some nicer sadder moments too, with Damien Rice's soundtrack contribution being a stand-out. The two highlights of the film come at complete opposite ends of the spectrum. One is Harold's death scene, with John Cleese wringing out every last ounce he can: he plays up the laughs while understanding its serious underpinning, something that Cleese has always done well. 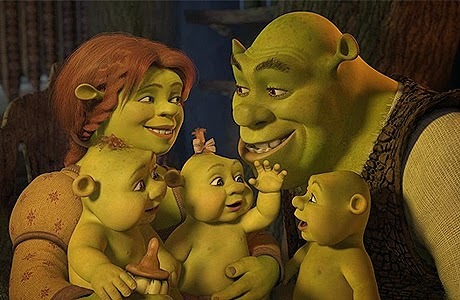 The other is Shrek's nightmare, in which he becomes swamped by a sea of ogre babies. If you're a horror fan, you'll simply be impressed that anyone could reference Rosemary's Baby, The Exorcist and The Brood in less than a minute. Shrek the Third is a mediocre third instalment and represents the low point of the Shrek series. It's not completely terrible, possessing small pockets of visual humour and occasionally hitting the emotional marks of its predecessors. But for the most part it's a poorly-told pale imitation, with its eyes firmly on the audience's wallets rather than their heads and hearts. Exactly right. Utter dross with a few worthwhile moments. For once I'm so glad they tried again with Shrek 4 and actually ended on a semi-decent note. This would have been a sad end for the Shrek franchise.